Home / Blog / Exist the sizes 37 – 39,5 – 41,5 and 43,5 in Nike? Exist the sizes 37 – 39,5 – 41,5 and 43,5 in Nike? You've seen cool Nike sneakers, but they are EUR size 37 – 39,5 to 41,5 or 43,5. But exist these sizes at all in Nike shoes? 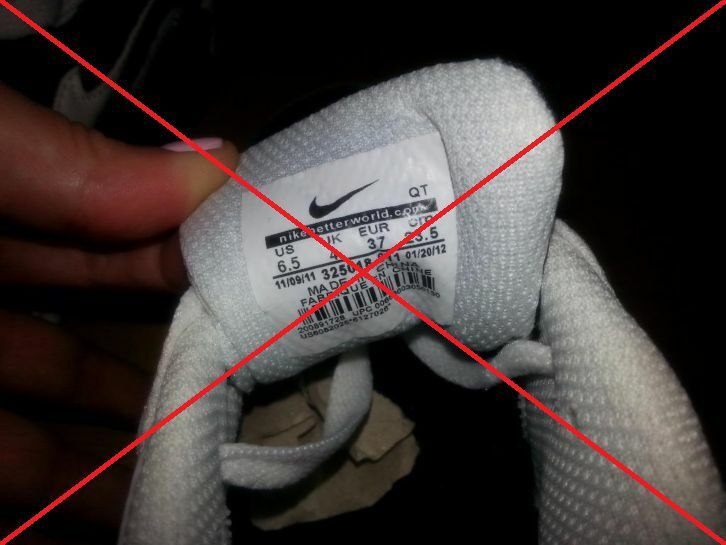 Nike shoes are never made in size 37. Nor in size 39.5, 41.5 or 43.5. Once you encounter Nike shoes in these sizes, you can be sure that these is are imitation shoes. We know that earlier (well before the year 2000) Nike shoes were made in other sizes than today. We post blogs that can help you with buying an original pair of sneakers on the Internet or elsewhere. Here is an overview to all the blogs that we have posted and will post.